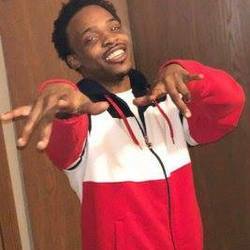 Donte Shannon died Wednesday January 18, 2018 in an officer-involved shooting after allegedly pulling a gun and aiming it at officers during a chase on the city's south side. Friends have identified the man as 26-year-old Donte Shannon. Resident Christina Manning said her four children described a barrage of about 30 gunshots. "It just kept ringing and ringing," she said. According to police, officers tried to make a traffic stop near 14th and Villa streets just after 4 p.m. but the driver took off on foot. Near 14th Street and Park Avenue, police said the man pulled out a gun and aimed it at the officers. The officers fired at the man, hitting him at least once, police said. Shannon died on the way to the hospital. The officers weren't hurt and were placed on paid administrative leave, pending the outcome of the investigation, per department policy, the Wisconsin Department of Justice said. The agency is leading the investigation.